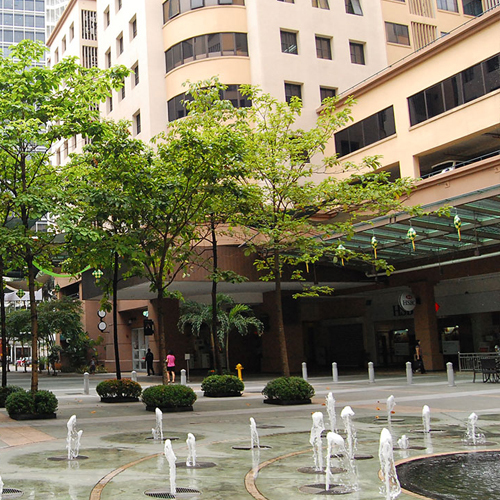 Plaza Mont'Kiara is managed and maintained by the Plaza Mont'Kiara Management Corporation ("Plaza Mont’Kiara MC") with effective from 1 August 2015. Plaza Mont'Kiara MC comes into existence on 9 December 2013 under The Strata Titles Act 1985 (Act 318). Plaza Mont'Kiara MC is a corporate body, having a common seal, comprising of all the parcel proprietors of Plaza Mont'Kiara, undertakes the maintenance and management of the common property of Plaza Mont'Kiara. For this intended purpose, the general committee, Plaza Mont'Kiara Management Committee ("MC") is formed. The current MC comprises of 7 parcel proprietors who are elected in the 1st Annual General Meeting of Plaza Mont’Kiara Management Corporation on 9 July 2015.